How your website designed? Did you design it yourself using Microsoft FrontPage, or did you use another WYSIWYG website building software? A professional designer will build your site for you? Do they use Microsoft FrontPage, or did they use another WYSIWYG website building software? Your designer he used a database-driven software, such as Cold Fusion? Maybe they coded your site using a text editor - you will need answers to these questions. If you have a FrontPage Web, you'll need a web host that supports FrontPage. If your site was developed with Cold Fusion, you'll need a web host who supports Cold Fusion. This also applies to other design software not mentioned here. Check with your web designer and / or web design program documentation for help with this. Maybe you are not yet designed your website. 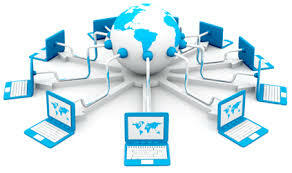 Many web hosts offer online website building software that does not require any programming skills or HTML. If this is your strategy, make sure your web host offers such software, and whether there is a cost for you to use.